Check out Anderson Archival’s recent contribution to bloggERS! The Blog of SAA’s Electronic Records Section. 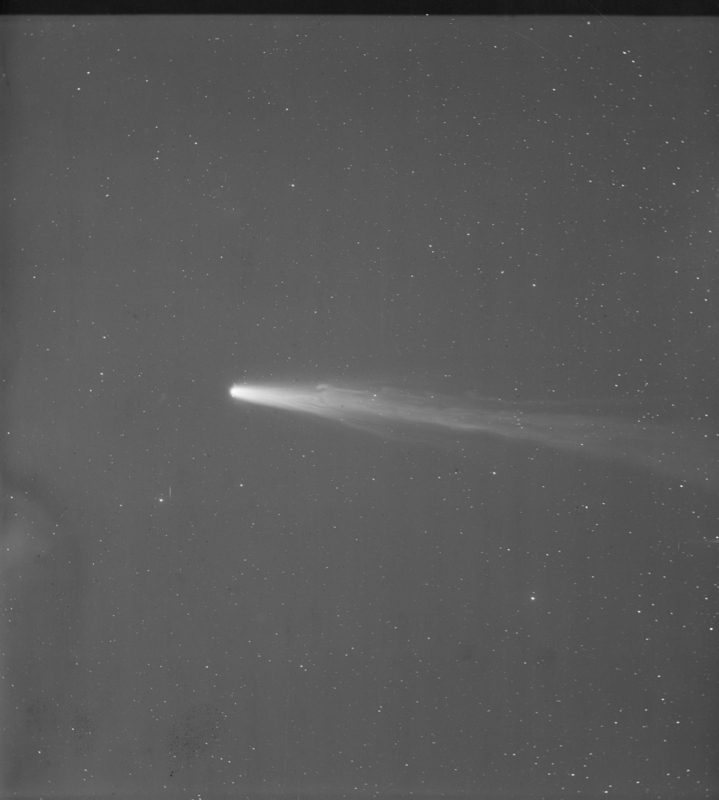 Digital Archivist Shana Scott presents a case study from Harvard University’s preservation of night sky photographs. Scott tells the story of astronomer Dr. Henry Draper, his wife Anna, and the women of Harvard’s Observatory who were dedicated to the preservation of this incomparable collection. Read the full article on bloggERS! now. Do you have a historical document collection that you’d like to make more accessible, relevant, and impactful? Anderson Archival uses proprietary methods to digitize collections so they are easily searchable, ultimately accessible, and even more meaningful to as wide an audience as possible. Let us help you today! Give us a call at 314.259.1900 or email us at info@andersonarchival.com. What are Quotables? This is a category in our posts to highlight any professional publications that benefit from our expert archivist experience and quote us in articles for their readers. Imagine you are a retired scientist who lives down the street from a library that houses valued historical documents. You’ve always had a fascination with maps of streams, lakes, and tides, and the ecology around them, and since your retirement, you enjoy more time sifting through the historical research and analytics. One day, you see a dumpster outside, cardboard boxes littering the walkway in front of the building. Pedestrians are riffling and collecting items from them. But you don’t think anything of it because all libraries renovate, don’t they? And then, not long after, the library is closed. This is what happened to Canada’s Libraries of Fisheries and Oceans. When? Not 100 years ago and not 50. Between 2012 and 2015, the government cut funding from these libraries, causing 7 out of 11 to close and recklessly disperse their documents. Scientists refer to this incident as a modern-day Library of Alexandria because so much knowledge, information, and research was lost. The Tyee journalist Andrew Nikiforuk says, “Established in 1973, when foreign governments hailed Canada as a world leader in freshwater science and protection, the library housed tens of thousands of reports, maps, charts and books, including material dating back to the 1880s.” A treasury of information! So what happened to those historical documents? While many books and papers were relocated to a federal library in British Columbia, Gloria Galloway of The Globe and Mail says that books and research documents were given away, sold, or discarded into dumpsters. The only documents kept were “remains pertinent to the department’s mandate.” Much of the literature was not widely published material nor was all of it digitized. Some of it was, but the government refuses to answer how much. In fact, CBC’s Max Paris says, “Critics said it was to get rid of environmental elements of the act that hindered the government’s plans for resource development and export.” Some allege that the retention of select data alludes to a political agenda that might otherwise be hindered by complete and long-documented research. What was lost? The science behind water conservation is incredibly important because of how it affects habitats all over the globe. Canada contains 20% of the world’s freshwater, and research pertinent to the conservation around freshwater and saltwater and whole-lake experiments is now lost. This endangers not only Canada’s natural resources, but the world’s since the research was used to conserve and safely maintain global water sources. There is no “safe place” for indefinitely preserving historical documents from decay or other damage. However, you can make sure information kept in those documents will remain available for generations to come by digitizing them. You never know when tragedy may strike in the form of a natural disaster. Files, folders, and cardboard boxes stacked in the attic or shelves in a warehouse is not safe storage. Even a historical library or society is at risk. Floods, fires, or vandalism can happen at any moment. Human negligence happens. Insurance will compensate you, but it cannot recover lost or accidentally destroyed artifacts. How many times have governments destroyed books to further their agendas, instill fear in citizens, gain control of education or other jurisdictional departments, or rewrite history? It can even be as mundane as lack of funding. The Libraries of Fisheries and Oceans is not the only modern book burning. History shows that it regularly happens on almost every continent, in almost every country around the world. Once lost, those historical items are gone forever. In many cases, there are no replacements or backups. Who could replace the journal of George Washington if it was lost? Future generations would never have this personal insight into our first president. How can we learn from history if it isn’t preserved for our knowledge? Don’t let such a tragedy befall your collection. Digitize your historical documents today or make a case for your local historical society, library, or historical research facility. Digitizing historical documents properly can be time consuming, but it is well worth the investment. If you are passionate about history and preserving knowledge and historical documents, digitization can keep them accessible for the foreseeable future. Here are five reasons why you won’t regret digitizing your historical documents. Multiple Backups. Digitized documents can never be lost if correctly mirrored onto physical hardware and cloud storage. Making multiple backups means that you can store them in different places, and cloud services allow you to access the documents from anywhere. Organization. Now you have a way to systematically organize files with search tags, creating a logical and efficient way to quickly research and locate the most relevant information. Search Capabilities. Do you have older typeset documents created before the advent of Microsoft Word? Your documents can be optically recognized through optical character recognition (OCR). While many vendors provide OCR services, very few strive for accuracy like the experts at Anderson Archival. Our OCR verification process ensures the finest accuracy for search. Instead of sifting through boxes and file cabinets, you’ll be able to simply enter your keywords into the search box, and let the computer do the work for you! Ability to Share. Not only will you be able to access the documents in an organized fashion with search features, but you can also offer a publicly accessible online reference database on your own website. If you want a more private approach, your database can be shared only with individuals behind a password-protected account management system or locally stored on your organization’s network. Peace of Mind. Is there any greater benefit than peace of mind? You will know that your historical documents, whether research materials, letters, or other historical data, are safe from whatever the world may throw at them. If you are ready for your library to be digitized and saved for posterity, contact Anderson Archival today at 314.259.1900 or info@andersonarchival.com! Picture this: you’ve spent a long time saving for an expensive tailored suit. Late nights at the office finally paid off, and now you’re prepared to invest in a sleek bespoke suit customized exactly to your specifications. When you need that suit to be styled and fitted, would you trust just any tailor listed at the top of your search results? Or would you take time to research who will handle your prized possession with the utmost care and caution? It’s important to find a vendor who will keep your digitized collection safe from time’s unforgiving decay—one who cares about how your materials are handled during each step of the digitization process and beyond. Materials in your collection are confidential, delicate, and unique. There’s no cookie-cutter approach; every collection is fulfilling a specific community’s needs. Whether that community is the entire world or only for your eyes, ethical values matter. Care and confidentiality should direct every decision in the preservation process. The Society of American Archivists (SAA) provides resources and guidelines for archivists across the country. This includes a detailed set of core values and a code of ethics that archival experts should use to steer their individual missions. You need a vendor who incorporates SAA’s ethical standards—professional relationships, judgment, authenticity, security and protection, access and use, privacy, and trust. This not only affects the client-vendor communication, but it dictates how each element of your collection is treated in every phase of the project. Handing over your unique collection is no easy task. Like in the case of the Harding Affair Letters, you may have struggled to keep certain materials safe from people who wanted to hide or destroy timeless resources. Even if you trust the archivists you’re leaving your collection with, what guarantees they’ll treat the materials in a way that reflects their worth? Find a team who lets you call the shots on how your materials are handled and stored. You need archival experts who are trained in working with fragile and sensitive documents. Additionally, the restoration techniques and equipment used by your vendor should be focused on maintaining the integrity of each artifact. The rare client may ask that certain materials be permanently destroyed after preservation. In these cases, ensure your partner has a plan in place! Destruction processes should include responsible, secure methods to dispose of documents and hardware, taking careful consideration to maintain both the client and project’s privacy as well as taking into account environmental standards. Privacy and intellectual property are paramount. You should ensure every set of eyes or hands that touch your collection have signed a binding nondisclosure agreement (NDA). This includes archivists, office personnel, and perhaps even janitorial staff who have access to the premises. If there’s any chance someone could stumble across evidence of your collection, a strong confidentiality agreement protects your data at every conceptual step of its digitization. Along with strict NDAs, make sure your selected vendor sets rigid internal guidelines about handling the intangible aspects of your collection. Staff should be told only the amount of information about a client needed to do their job—that part’s up to you. Your anonymity can be protected just as well as the physical collection. Every project requires unique documentation, but setting general standards for record-keeping is a strong first step. Successful documentation ensures successful accountability, which is one of SAA’s core values. At the start of every digitization project, make sure the vendor analyzes each item and the collection as a whole to assess what each task will entail. Have your original manuscripts or photos seen better days and need an extra round of cleanup in the digitization process? Are there torn pages, handwritten notes, or other text obstructions? Standardizing processes keeps the team on the same course, achieving uniform quality on each page of your collection. Equally important to accountability is providing examples while the project is in progress. Need weekly reports on the development of your future online collection? Want a mockup or wireframe of the database or publication? Care to test the search functions or capabilities of your custom software? Make sure you have a partner committed to transparency and open communication. Drawing again from SAA’s code of ethics, one of archiving’s ultimate goals is providing access and use. More often than not, if you’re investing the time and funds to preserve a collection it’s because you wish to share it with others. That’s why it’s at the top of SAA’s list of core values. Making your collection accessible is hard to do when it’s limited to boxes of papers or file cabinets in one physical location. But good access and privacy don’t always play nicely with one another. Finding that middle ground is always possible, but this depends on you and your collection’s individual needs. If you want a database that’s for your organization’s internal use only, your digitization partner should approach your project differently than if you plan to market your collection for public use or charge users for access. Copyright laws, content, and protection of intellectual privacy put additional limits on the scope of access and use of your collection. Just as you might wear a beautiful custom suit to a large public event or save it for a private party, you should be able to rest assured that your collection is tailored and fitted to perfection, crafted for its specific purpose. You should also feel confident that your measurements won’t be shared with anyone without your permission! At Anderson Archival, we treat every step of a digitization project as a new challenge, letting your collection’s individual goals guide our path. This includes safeguarding your information and putting the privacy of your collection first. For more information about how we value confidentiality in our archival process, contact us today at info@andersonarchival.com or 314.259.1900. Even on the most social, shallow corners of the internet, it is becoming hard to miss the world of museums and archives. For advocates of sharing and learning from history, that’s excellent news. The largely on-demand nature of the internet means that knowledge and familiarity have to, in some way, precede a search. But when your collection lives outside the realm of the typically encountered, searches can be rare. Social media circumvents this. While gathering content and followers can be a slow process, a digital library shared on Twitter or Instagram can go from obscure to viral in the blink of an eye. Many museums have already captured this momentum. Successful accounts like New York Times Archives and The Met Museum set the bar high, but so-called smaller collections can find a niche audience in this medium as well. With these successes, it becomes easier to understand why some museums and collection curators build their sharing strategy around social media. Does this tactic encourage viewers to treat their experience superficially, as Philip Kennicott argues in a review, or does it fill a desire on participants’ parts to be entertained and to interact? If “the only reason people know about it is because of Instagram,” , isn’t that, on the simplest level, more eyes on the art? Ultimately, there is no denying that social media boosts awareness. Whether it changes the viewing and learning experiences is still to be discovered. Why would a curator or director refuse to embrace and utilize social media in sharing their collection? The internet is an ideal environment and means of finding researchers and appreciators of that very niche. Take, for example, this account about the former St. Louis football team, the Cardinals. While the Cardinals are a ubiquitous name for St. Louis baseball, the historical football team is far less known, and yet this Twitter account showcasing historical Cardinals football items has found a large following. Wait. You’ve spent years and money preserving a collection that isn’t interesting? Doubtful! There may be dense text included in a collection, but interest is in the eye of the beholder – and there are ways to showcase even the most seemingly inaccessible collection . A Social Media Account Is Just More Work. Who Is to Say There Will Even Be a Return on This Effort? If reaching the technologically savvy and younger generations is a priority for you and your collection, social media isn’t something you can afford to ignore. There are alternative solutions for organizations with tighter budgets or time constraints. The Library of Congress archive blog has a technical how-to for creating a bot that randomly shares images from an archive. One of the many benefits of technology is the way that it constantly makes itself easier to use, so the possibilities for bots and programs managing social media accounts can only grow. Right now, bots may not generate the same level of excitement as a curated account, but they are better than nothing! It would be difficult to share on a digital medium that which is not digital. A collection kept on paper, in boxes, is not only limited in the means of gaining an audience, being available for research, and enriching the lives of strangers, but it is also at risk of loss. Anderson Archival is ready to build a digital library from your materials and ensure the safety of your collection with secure digital backups. An audience for your collection is out there, and social media can help you find it. Creating a digital library is half the battle, but don’t let that library go unused! Are you ready to start a social media account for your digital collection? Tie history to today. 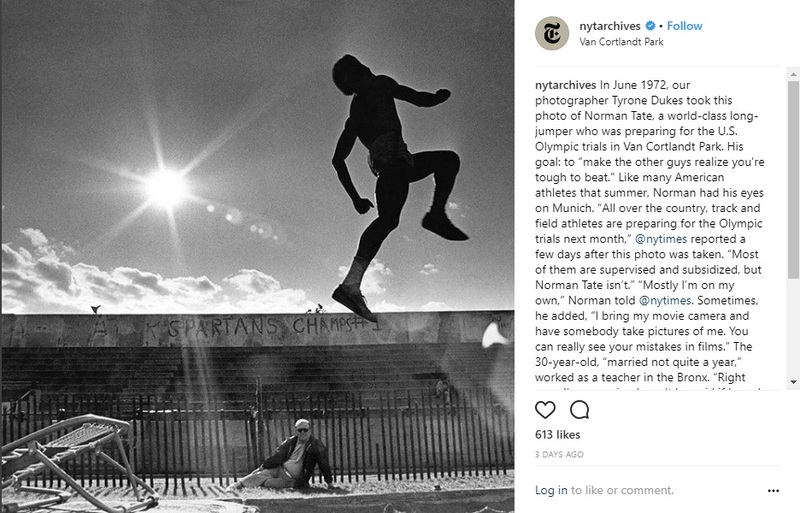 Use hashtags like #OnThisDay to showcase artifacts published “on this day in history,” or take a page from the marketer’s playbook and tie posts to trending topics. These may not be successful individual posts, but inclusion in hashtags may gain followers who were previously unaware of your collection.Is a piece of your collection relevant to breaking news? Share it, but be sure to make the context clear. Utilize trending topics within the archival community like #ArchivesHashtagParty, usually hosted by the twitter account. Members of the archival community and interested bystanders watch these topics. There are few other ways to put your collection in view of so many eyes!In addition to using hashtags, use social media to foster relationships within the archival community. Interactions between museums and collections can go viral, but even more beneficially, can mean shared audiences and resources. Create something worth sharing. Rather than pinpointing what this means for your particular collection, it is easier to identify a social media post that isn’t worth sharing. Search “history twitter” or “museum instagram” and examine the results. Does the account post interesting information and not just a link? Are the images compelling? Many accounts make the mistake of linking to the museum or collection website without giving a reason they wanted to share the post.There is something that just works about the digital library social media accounts for the Missouri History Museum and the St. Louis Art Museum. What you do with your collection and how you share it is up to you. Anderson Archival is here to show you the possibilities and help make them happen. Is it important that your collection is preserved as a digital library, kept safe from loss, and available for future generations? Anderson Archival specializes in digital preservation and secure backup. Contact us today at info@andersonarchival.com to talk about your collection or sharing it with social media. You are taking the steps to preserve your organization’s collection, but have you considered how your digital archive of data will be accessed? Cloud storage may be the choice for you. Many modern digitized collections utilize cloud technology for document storage. When you are investing in digitization services, it’s important to look at the options that allow your collection to be as safe as it is user-friendly. Cloud storage is only one facet of expanding the joys of your collection in the best way. When you store data on a physical drive, any number of disasters can befall it. Even if you keep a data backup hard drive at your house, a local storm could easily level both your and your collection’s home, decimating physical documents along with hard drives. Backing up a virtual library on a hard drive or server may seem faster or more convenient, but cloud storage isn’t susceptible to the same kinds of vulnerabilities as physical storage methods. Some companies and curators choose to back up their collection onto a physical drive and keep it in a safe, remote location. But that drive can get stolen, broken, or corrupted in transit, rendering the backup useless. Using cloud technology in place of, or in addition to, these less dependable methods is an important part of digitizing services to protect your collection against devastation. To learn more about how disaster recovery plans can prevent the total loss of your collection, check out our previous blog post on digitization for disaster recovery. Technical Security: Cloud software is an option that’s safer from both physical and digital threats. Paid cloud storage services release frequent software patches that keep your data safe from cyber security threats. Also, if your physical document storage methods were ever subjected to a ransomware attack, cloud storage makes it easy to swiftly recover your digital archive. Ease of Physical Recovery: No need to track down an external hard drive or lock-box of flash drives! With cloud technology, you’ll always rest assured that your document storage efforts are unaffected by any calamities in the physical world—including equipment failure or poor employee practices. Accessibility: Cloud software allows multiple users to access and edit data at one time. Your files can be explored from any device with internet capabilities. Not only can anyone with credentials access your digital archive anywhere from practically any device, but with certain software, any user could browse and search the collection like a virtual library. This opens your collection to research and enjoyment far beyond the limitations of physical records. Cloud storage options can also be cheaper than some physical storage methods. To calculate if cloud storage is an investment within your budget, use this helpful tool to calculate how much you’d save, or contact the document storage experts at Anderson Archival. At the guidance of our parent company Anderson Technologies, Anderson Archival recommends you combine cloud storage with housing your digital archive in on-site servers or hard drives. On-site file restoration methods will always be faster, due to their proximity. But cloud storage is the smartest option when it comes to emergency situations and long-lasting fortification. For document storage and digitization services that focus on preserving your collection for years to come, call us at 314.259.1900 or email us at info@andersonarchival.com. Digitizing services are vital for a disaster recovery plan to electronically restore your collection when destruction hits. Maybe you already have a disaster recovery plan for the computer equipment you use in your home and office everyday (if not, get a free consultation with Anderson Technologies), but what about the priceless materials in your collection? Whether you curate a museum with a significant compendium or want to make the athletic legacy of a school available online, consider data digitizing to sustain your treasures for when the unexpected happens. Take, for instance, the 1966 flood of the Arno River in Florence, Italy. Over one million books and works of art were left waterlogged or worse, some still being restored as recently as 2013. The heart of the Renaissance was destroyed in less than a day. Your organization’s collection is irreplaceable. But by establishing electronic archiving as a part of a disaster recovery plan, you can digitally preserve your materials forever—rain or snow, fire or flood. Data digitizing and electronic archiving create a safety net that protects your collection from disaster. But It Could Never Happen to Me! Yes it could, faster than you might imagine. In 2009, a plane crash in the suburbs of Newark, NJ, took 50 lives and demolished a private collection of baseball cards worth $2.4 million. Insurance and diligent record-keeping of items in the collection provided the victim’s family financial compensation for the lost memorabilia. But because of the resulting fire, those items are permanently gone and will never be enjoyed again. Fires, floods, earthquakes, sinkholes, avalanches, acts of war, and theft, are threats to a collection. While these tragedies aren’t preventable, complete loss of your irreplaceable materials is! How Do I Protect My Collection from Catastrophe? Digitization services use advanced document processing and electronic archiving techniques to create a digital article that can’t be touched by physical disasters. This data can be accessed through searchable online databases or simply kept in an external storage device. Onsite: This type of backup provides the fastest recovery in the event of data loss. A potential quick reinstallation is well worth the cost of backup software or physical media (host computer, external hard drives, or other electronic storage devices). Offsite: This method is similar to physical or electronic onsite backups, but the device or software is kept safe at a remote location. Note the limitations of this type of backup: removable media can be lost or damaged, and it may take some time to move data from one location to another. Of course, the collection itself can always be kept in a safe place. But fires and floods can happen in a warehouse just as easily as they can in your home or office. If the original collection’s site were affected by calamity, it would be wise to have a digital copy in another secure location. Cloud-based: This type of backup can be accessed anywhere with an internet connection. Depending on how large your collection is and the kind of protection you need, this method can get expensive but as long as you have access to the internet, you can recover your entire collection in the event of a disaster. One bright side of the 1966 flood of the Arno is that the art curators and librarians of Florence put their heads together to find the best ways to restore anything that wasn’t completely lost in the disaster. New historical preservation techniques they learned are still being used today. Even though external hard drives or cloud storage didn’t exist at the time of the worst natural disaster to ever hit Florence, they were able to salvage some of their heritage and put that caution into creating disaster recovery plans for the future. Thankfully, we live in an age of digitizing services like those offered by Anderson Archival. For document processing and digitization services that focus on your passion for your collection, call us at 314.259.1900 or email us at info@andersonarchival.com. Recorded history is a treasure that can never be replaced. That’s why our team is dedicated to preserving historical documents with accuracy and quality. Time wears pages thin, and the valuable information recorded there becomes indistinguishable from the page itself. Light discolors the pages, and their edges crisp, fray, and eventually crumble. Dust can damage them, while flood and fire, theft, and other catastrophic events can destroy them forever. Frequently, our own use of the pages eventually fragments them. Published pages, records, photographs, and hand-written letters were meant to be passed on to posterity, but the more they’re used, the more likely they are to sustain irreversible damage. Here at Anderson Archival, we are committed to protect and save your precious collection with our historical document preservation services. We professionally preserve each page by digitizing it as an image and combining it with readable, searchable text, so you can continue to enjoy the contents well into the future while simultaneously adding functionality. Save Your Historical Documents from Extinction: Digitize! While books and documents eventually fall apart, at Anderson Archival we know how to make their contents live again. Digitization allows you to use, catalogue, share, print, and copy these preserved historical documents much more easily than using the materials themselves. And with easy search tools, you’ll be able to find topics instantly. Don’t Lose Your Collection to Time or Disaster! Think of the ancient scrolls of Alexandria lost forever to flames or the historical records incinerated during the book purge in Nazi Germany—volumes forever lost to future generations. Destroyed and damaged libraries such as these are incalculable cultural and intellectual losses. So many irreplaceable volumes have become lost. Don’t let this happen to your library! Preserving historical documents has never been easier for experts, nor has it ever been so important. Let us help preserve your historical collection forever. Historical treasures constantly come under threat. Over the last few years, catastrophic flooding in the Midwest and South has impacted areas thought to be safe from rising waters. The record flooding produced by Hurricane Harvey, the largest cyclone in US history, put previous safe havens at risk for the future. University of Texas Library said, “With any storm of Harvey’s magnitude and destructive impact, staff are paying close attention and preparing for potential issues, but in the case of this hurricane and the position of its landfall, most proactive considerations gave way to planning how to react to whatever damage would inevitably be wrought upon the library and its collections.” The library was rescued as teams jumped in to save it almost immediately. But what if it had been lost? The Howard-Tilton Memorial Library of Tulane University was also greatly affected when Hurricane Katrina flooded it with over 8 feet of water, and “As a result, in the Howard-Tilton building alone more than 700,000 of the library’s individual print volumes and recordings were submerged underwater.” Eventually the library was able to salvage and restore 629,711 archival items, which is incredible. But that means over 70,000 items were lost. When disaster strikes, people are the main concern. But what happens to the private collections stored at their homes another local place affected by the disaster? Unfortunately, many times the owners come back from safety to find the collections damaged beyond repair. Natural disasters aren’t the only cause of damage or loss to historical documents. The Pentagon sustained damage to its library, which contained more than 500,000 books and documents and a historical collection that dated to the early 1800s. The report said a private disaster recovery company was contracted to help stabilize the collections. 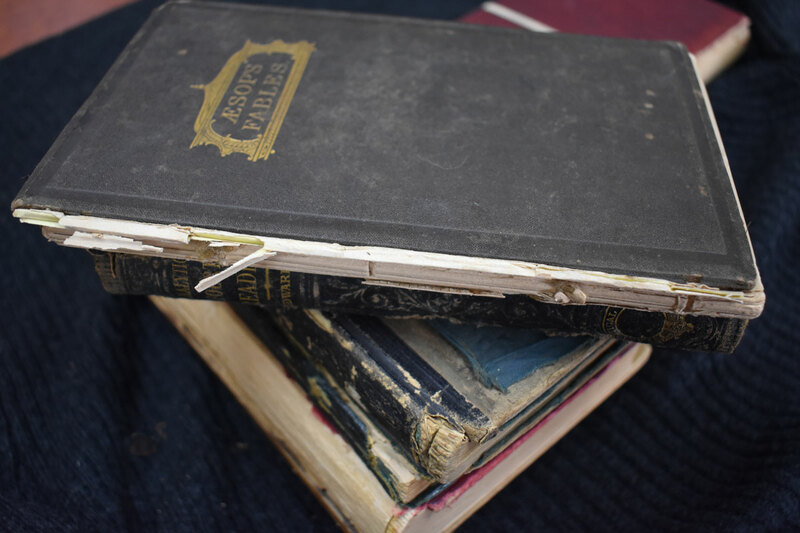 The restoration efforts, which cost $500,000, were ultimately successful in saving about 99 percent of the book collection…. The extent of loss in private collections and some public collections may never be known. Such unexpected horrors could happen anywhere, at any time. The moment of a tragic event is not the time to figure out how to save your historical collection. Let us help safeguard your treasures, so when disaster strikes, your collection is one thing you won’t have to worry about. Do you have a collection you would like to keep preserved forever? Our digitization process will help you keep your documents safe and secure. Preserving historical documents is a multi-step process. Your documents are scanned to create top-quality images. We use Optical Character Recognition processes to clean and analyze the documents, and then our team proofreads for word-for-word accuracy. This level of true preservation quality is unique to Anderson Archival. After the proofing comes watermarking and adding metadata, leaving you with a digital document that can be indexed and searched. Let Anderson Archival help you preserve your historical collection for generations to come. Would you like to learn more? Visit our historical preservation services page for more information, or contact us at 314.259.1900 to talk to a preservation expert today. Many businesses find themselves subject to regular audits by government agencies or conduct detailed internal audits on a regular basis. Whatever the nature of the audits, monthly, quarterly, or yearly cycles of digitization can significantly expedite this process and preserve content for digital storage, saving them for the future. Handwritten notes are often necessary in industries where detail and security matters. Our digitization experts provide clean scans of documents of all types while keeping them secure. Anderson Archival’s team is dedicated to accuracy when preserving your records. Where large-scale scanning firms may bulk process papers for scanning without care for organization, preservation of originals, or readability, our specialization in true digital preservation makes us the ideal choice when businesses look for accurate and organized digital scans. Audits often provide incentive to organize records that would otherwise stack up unmonitored. Performing monthly, quarterly, or yearly cycles of digitization in preparation for government audits takes this even further. Not only will your records receive careful organization, but with digital scans the need for physical storage becomes all but eliminated. Certainly, there are cases where physical originals are necessary. Anderson Archival’s focus on preservation ensures that these originals will be treated carefully and returned to you in top condition–which isn’t always the case with bulk scanning firms. However, once scanned, many physical copies are no longer needed. In those cases, we are happy to facilitate confidential shredding that frees up physical space in your office or storage facility. Through simple folder storage or advanced search functions with metadata added to your digital collection by our team, these documents continue to provide use to employees beyond the audit cycle. Instead of searching through file folders for a particular document or turn of phrase, you will be empowered to search the digital scans for titles or quoted content and get results in seconds. Then, the digital copy of each document is already at hand for reference or sharing with a co-worker or client. If a government or internal audit requires only specific documents, the search function enables the fast collection and sending of these documents. For even more advanced searches, our team can provide handwriting transcription. This makes not only print documents, but your notes accessible by search. Bulk scanning firms may offer optical character recognition (OCR) services, but these programs bring automatic results that are often riddled with errors, rendering search features useless. In the case of handwriting, highlighting, or other color interference, the automatic OCR process may leave whole swathes of data illegible or completely blank. Not the case with our detail-oriented team. OCR: Many bulk-scanning firms run originals through software without proofing the results. Save valuable time and energy, and perform more efficient work. Expedite that work with Anderson Archival. Contact us today to discuss scanning for audits: call 314.259.1900 or email info@andersonarchival.com.